Kick off spring with the TAP-Chicago community service team and lend a helping hand/paw to man’s best friends at Chicago Canine Rescue! 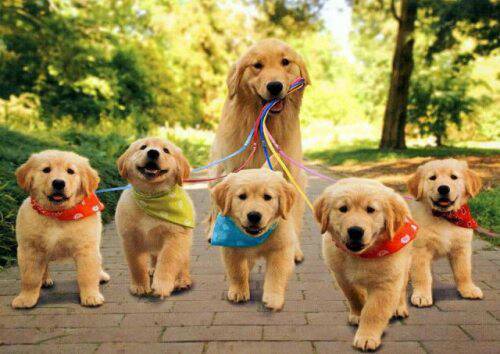 We will be walking dogs and enjoying the outdoors around the Forest Glen Woods preserve. Space is limited! So sign up ASAP. First timers and experts are welcome. The Chicago Canine Rescue was founded in 2001 to help find permanent homes for dogs considered too young, old, ill, or have special needs that would otherwise be euthanized at local shelters. There are currently 80 or so dogs at the Rescue that would love to your attention and care! 1. Volunteers must be at least 18 years of age. Photo ID is required. Join TAP-Chicago and fellow Chicagoland young professionals for a Cinco de Mayo celebratory networking mixer on Thursday, May 3rd at Ronero Chicago. 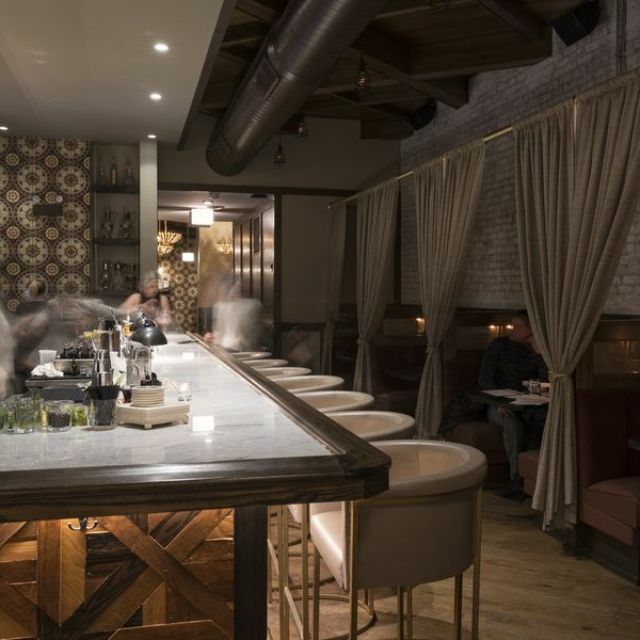 Ronero/Esco Bar is one of Chicago’s hottest bars/clubs with its upscale Latin American restaurant and speakeasy-style rum bar. If you’re new to the area, looking to meet new young professionals or simply want to socialize with old friends, come out and help us celebrate Cinco de Mayo in style. This will be an extra special networking session as we’ll also be sharing details on this year’s upcoming Lunar Ball celebration. Early bird tickets are on sale now! Registered guests will enjoy a complimentary signature cocktail and passed appetizers (ceviche, empanadas and mini Cubano sandwiches). Getting There: West Loop, close to Morgan El stops and several CTA buses. At TAP-Chicago we frequently collaborate with different community organizations on a variety of projects and events. Sometimes it can be challenging to reconcile differing expectations about roles and responsibilities. While each event is a little different, here are 3 models we use when partnering. 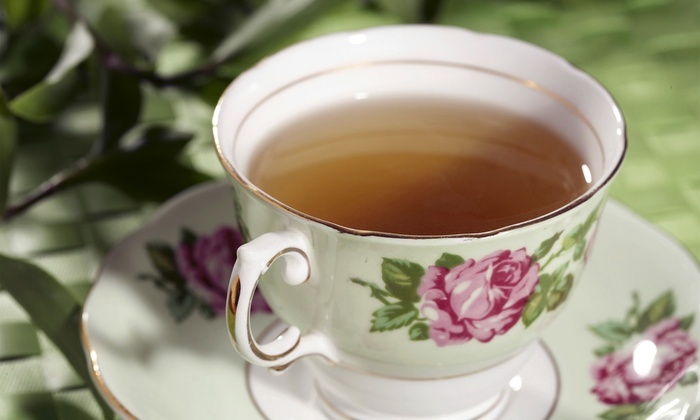 The most common arrangement we use is a Marketing Co-sponsorship. In this case, one organization takes the lead and does the bulk of the planning. The lead org comes up with the event date, structure, and content, arranges the logistics, creates the marketing materials, staffs the event, and takes on the financial commitments and P&L. 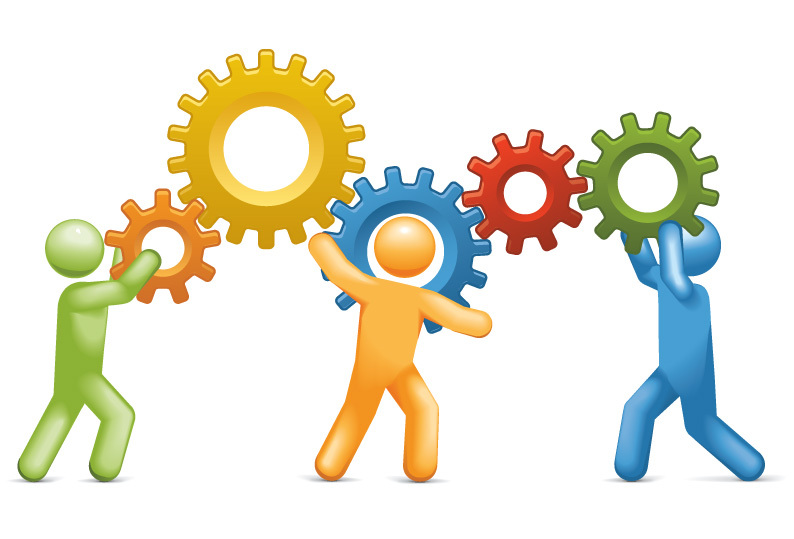 Often times, the lead org does much of the work before even approaching potential partners. The non-lead or co-sponsoring organization’s role is to market the event to their members and supporters the same way they would an event they organized themselves. Sometimes, the co-sponsor makes a financial donation or provides some day-of staff or other help. While the contribution to the event organization is unequal, in a Marketing Co-Sponsorship we market the event with the two organizations as equal co-sponsors with both organizations similarly listed on the event flyer, facebook, webpage, registration page, etc. The only indication of the different roles to the public are incidental: for example, since the nametags, sign-in sheets, and staff for the event usually come from the lead organization, attendees might deduce the division of labor. Since the event is marketed the same way as the co-sponsor’s own event, there is informally a greater commitment to push turnout and there is usually a significant attendance from the co-sponsoring organization. We commonly use this arrangement when one organization has stronger interest or better positioning to organize an event or when the scale of the event is small enough that it is more efficient for one organization to do the bulk of the planning with limited coordination with the other organization. Often, we will alternate lead organization responsibilities with a partner organization for a series of similar events. A less common arrangement for us is a Planning Co-sponsorship where both organizations share responsibility for planning and decision making and finances are usually shared. Depending on the specifics of the event, we sometimes split each function with a joint team from each organization or split the functions between the organizations. Either way, the result is a more even sharing of responsibilities. We don’t usually do this much due to the high coordination costs in a volunteer setting and the need for a longer project timeline. However, we believe joint planning has the potential to yield stronger events and we seek these opportunities whenever they make sense. Finally, another common arrangement is a Marketing Partnership. As in the Marketing Co-sponsorship, one organization has primary responsibility for an event. But for Marketing Partnerships, the partner org does not market the event as their own event. Instead, they present the event to their members as an external community event supported by the organization. Often times, the marketing for the event makes the different roles clear, whether it’s through logo placement or text description. Some situations where we use this arrangement are when there are a very large number of organizations involved in an event, when we’re not able to commit to extensive marketing because one of our events is too close to the partner event, or if we feel an event isn’t a close match. Regardless of the collaboration type, the hope is that cooperation creates more high-quality, well-attended events that promote fortuitous interactions. And our goal for partner events is the same as for solo organized ones: to strengthen our communities through community service, professional development, cultural awareness, and leadership development. So how does this line up with how you or your organization think about collaborations? Any suggestions or comments? You can reach Hauwei at hauwei at tapchicago dot org. 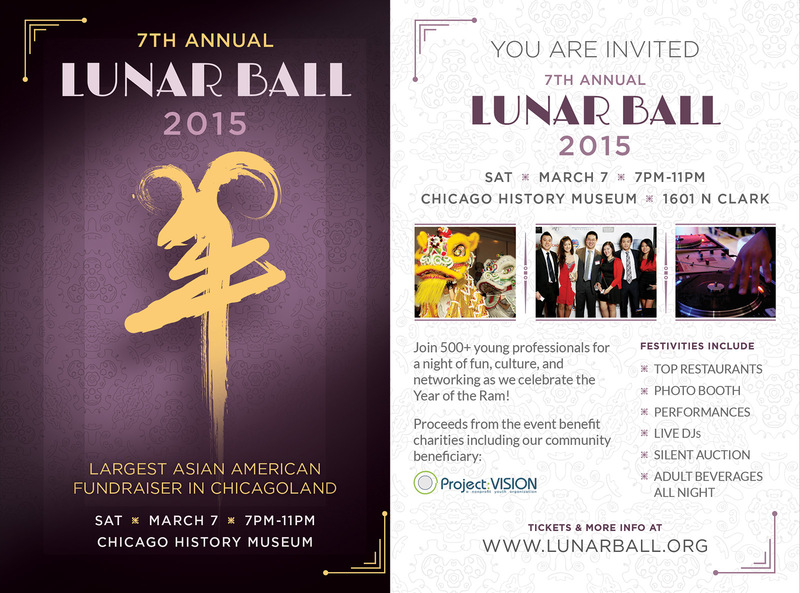 The 7th Annual Lunar Ball, Chicago’s largest fundraiser for Asian American young professionals and friends, will be held on Saturday, March 7th at the Chicago History Museum. On behalf of the Lunar Ball Committee, we invite you to support community development and education by attending Lunar Ball 2015. This year, we expect a crowd of 500+ of Chicago’s most accomplished and involved young professionals to fill the Chicago History Museum for an evening of fun, food, and networking. The event will include tastings from Chicago’s top restaurants, adult beverages all night, performances, multiple DJs, raffle, and silent auction. There’s no better time than the Year of the Ram to meet new friends and professional contacts. The event sells out every year, so buy your tickets here today! On September 22nd, TAP-Chicago’s very own dragon boat team, TAP-Chicago Thunder, will participate in its final race of the season. It has been a wonderful season, and we’ve medaled at every single race! Below is a World Journal article written right after our second race, which took place in Chinatown. Look at us with our proud smiles, red uniforms, and medals. Want us to keep those smiles? Come cheer for us in UW Oshkosh at the end of September, or even better, join us for this final race. Your support will give us the strength to win another medal. Go, TAP Thunder! 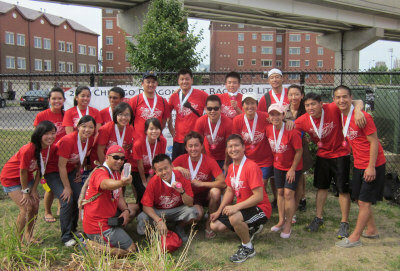 Chicago (World Journal)–The Chicago Taiwanese American Professionals took the bronze medal a few days ago at the 2012 Chicago Chinatown Chamber of Commerce Dragon Boat Race, and are looking forward to another good performance at the 2012 Chicago International Dragon Boat Festival in Arlington Heights this Saturday (July 28th). Last Saturday, the Chicago Taiwanese American Professionals took third place by a mere 0.04 seconds at their first dragon boat race hosted by the Chicago Chinatown Chamber of Commerce. Before the Chicago Chinatown Chamber of Commerce boat race, they also participated in a race in the western suburb of St. Charles. For the series of dragon boat races this year, the organization specially designed red T-shirts as their uniforms. President Hauwei Lien explained that the organization, founded four years ago, now has around 700 members between the ages 20 to 40, from all trades and professions. The organization hosts a variety of events, including volunteer tutoring sessions for children, dog-walking events for canine rescue organizations, networking events, cultural events such as Taiwanese movie screenings, and sporting events such as volleyball. They also host events during such holidays as the Chinese New Year, Mid-Autumn Festival, and Dragon Boat Festival. TAP-Chicago is expanding its leadership board to serve the community better! Have a positive work ethic, entrepreneurial spirit, and dedication to the Taiwanese American and Asian American community? Apply to join the team! Find out more at the recruiting page. TAP will be hosting the November Happy Hour at the Godfrey Hotel on November 15th, 2018 6-9pm. This will be a canned food drive event, and the requirement for entry would be to bring 3 canned good items. These goods will be donated to a local shelter to help feed the less fortunate. Look forward to seeing everyone at the happy hour event. We are excited to launch TAP-Chicago’s brand spanking new website! This is our public beta, as we build out the site you can expect more content, design tweaks, and more features. Let us know how we are doing! 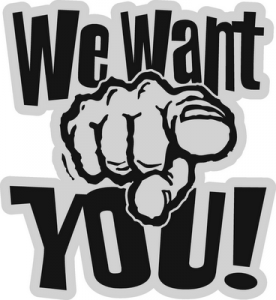 Email website@tapchicago.org.